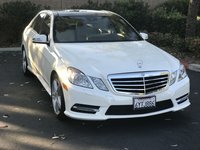 CarGurus has 1,855 nationwide XF listings starting at $5,500. Luxury sedans are about nothing if not exclusivity—unless that requires limiting sales. For Jaguar, the XF's rear-wheel-drive (RWD)/V8-only combo meant a few things. 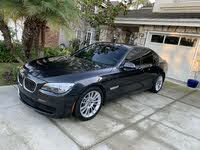 Sure, it lent an air of purpose to the midsize 4-door, and perhaps some legitimacy, too. But without all-wheel drive (AWD), Jaguar was missing out in those rare states where it might actually snow in winter. A few people do live in the Northeast and Midwest, after all. Same for the V8. In a class where it’s become expected to have the option of smaller, more efficient (but no less exciting) engine options, 8 cylinders were holding the XF back. Now, things are going to be different. 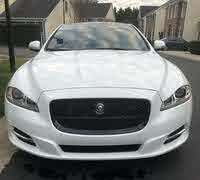 For 2013, the XF shows up with AWD and not one but two extra engines, with your choice of forced induction. Snowbelt buyers rejoice—the XF has become an option. Starting with the base XF 2.0T trim, you’ll get a 2.0-liter turbocharged 4-cylinder engine that’s been reported to return 19 mpg city/29 highway while still delivering 240 hp and 251 lb-ft of torque. The XF 3.0 gets you a 3.0-liter supercharged V6, replacing the naturally aspirated V8 that used to stand guard at this level. The V6 shows up with 340 hp and 332 lb-ft of torque, but despite that big power jump, it’s still able to compete with the 2.0T with regard to efficiency, returning EPA estimates of 18/28 mpg. However, that’s in RWD form. If you opt for the new 3.0 AWD, expect to see closer to 16/25. Of course, if saving fuel isn’t part of your plan, there are still some silly options out there for you. And like Willy Wonka said, “A little nonsense now and then…"
The XF Supercharged gets you the old, familiar 5.0-liter V8, here with the forced induction of its namesake. At 470 hp it certainly shouldn’t disappoint on its way to 60 mph—a trip it can make in just 4.5 seconds. Shortly thereafter you'll probably want to stop for a top-off, as the XF Supercharged drops even further down the efficiency ladder, landing at 15/23 mpg. For a bigger finger to toss at the environmentalists, the XFR has 510 hp and 461 lb-ft of torque and drops 2 more mpgs on the highway, but it’ll do the sprint to 60 in just over 4 seconds. But again, this is more about luxury than performance, and the Jaguar does deliver. Even the 2.0T trim comes with standards like leather upholstery and wood trim—both with 2012’s new optional materials—heated front seats that were upgraded last year for more support, a sunroof, dual-zone automatic climate control, a 250-watt, 10-speaker stereo with iPod input and USB, automatic headlights and washers, and a 7-inch touchscreen display. My personal favorites are the “Surprise & Delight” vents and gear knob, which stay hidden beneath a flush dash and console until the ignition is engaged, when they rotate into accessibility. It just looks elegant. Other than the engines and the wheels, there’s not much change in the trim lineup so far. This changes with V8 power. The XF Supercharged brings that 5.0-liter engine along with a host of additions like touchscreen navigation with a 30GB hard drive, memory seats upgraded with ventilation, deep-pile carpets, ambient interior lighting, 20-inch alloys, a heated steering wheel, adaptive headlights and parking aid systems, front and rear. Not bad for a luxury car that’s not supposed to have much wide-ranging appeal. For the more technically inclined, Supercharged trims also come with Jaguar’s Computer Adaptive Technology Suspension, with electronic, active dampers that react in milliseconds. If you’re looking to click AWD here, that’s electronically controlled as well. It starts biased toward the rear, but the multi-plate wet clutch in the transfer case can send up to half the torque to the front wheels. Additionally, all trims get the ZF, 8-speed automatic to replace the old 6-speed units, and all but the 2.0T get Start/Stop tech for further efficiency. That's a lot of additional utility in a luxury sport sedan, and changes which will undoubtedly open up those previously elusive markets. Get ready to see more Jaguars on the road. 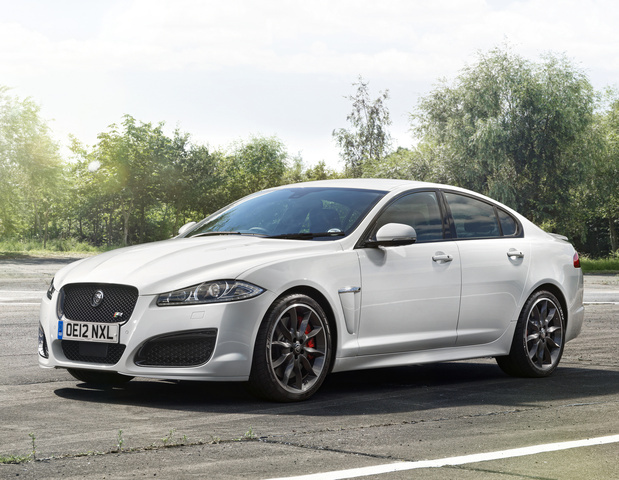 What's your take on the 2013 Jaguar XF? 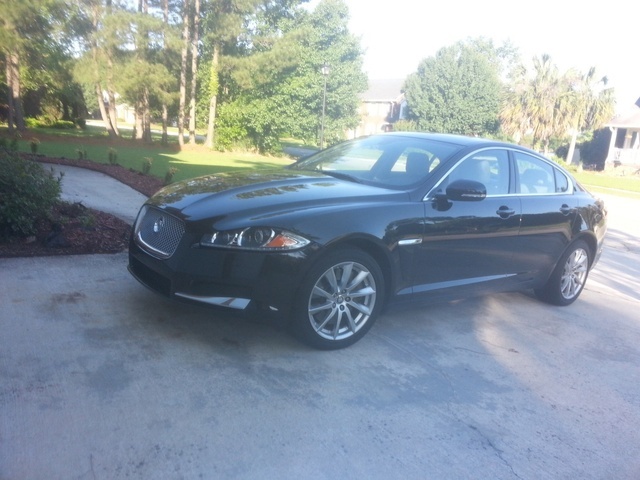 Have you driven a 2013 Jaguar XF? Have I Been Sold A Defective Xf?